1215 Rothesay Circle | Cover Story | Style Weekly - Richmond, VA local news, arts, and events. 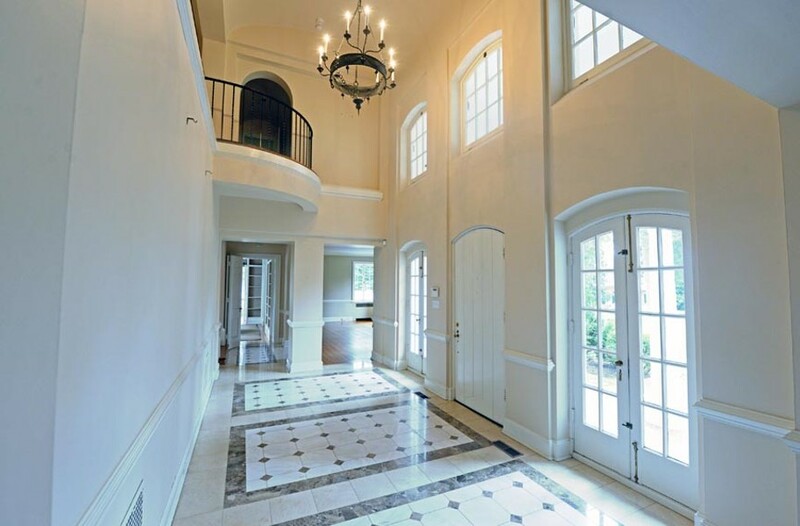 Scott Elmquist The grand foyer at 1215 Rothesay Circle was featured prominently in a documentary about Jackie Kennedy Onassis. The home is 6,000 square feet. 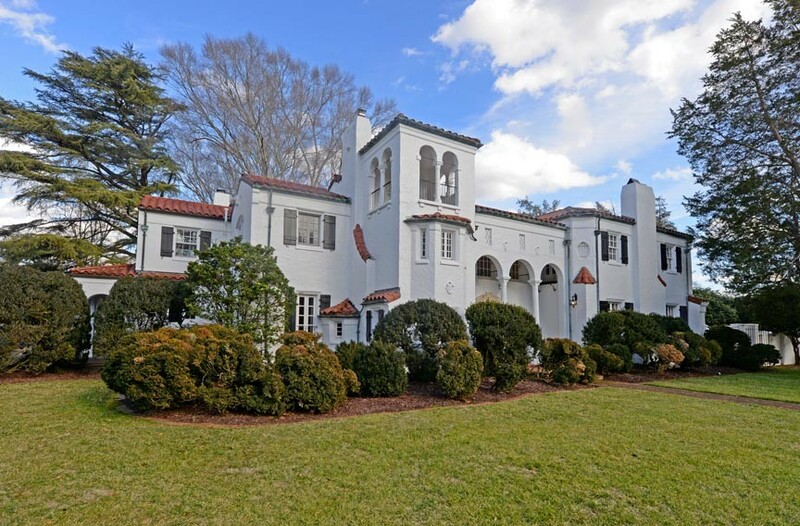 South of City Stadium, just a few hundred yards north of the James River, is a Mediterranean-style house fit for a queen — or at least a first lady. It's there that a miniseries about Jacqueline Kennedy, "A woman named Jackie," was filmed in 1991. In the film, which depicts her before she became first lady, she can be seen lounging at the pool and congregating in the front yard with a backdrop of the glamorous house at her back. It doesn't take long to realize it's fit for someone important and cool, or at least, rich. "It is beautiful. I have to say, it's beautiful," says real estate agent Debbie Gibbs, who's representing the homeowners, who are preparing to sell it. "They're ready to put it on the market." 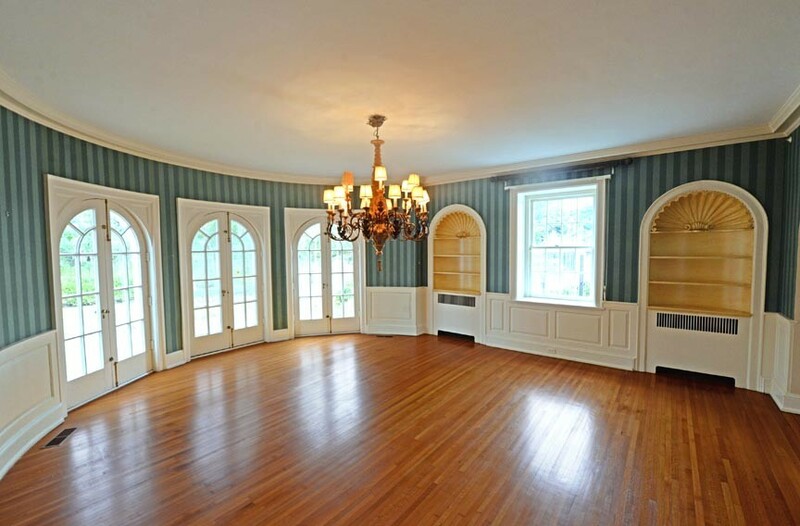 The grand foyer at 1215 Rothesay Circle was featured prominently in a documentary about Jackie Kennedy Onassis. The home is 6,000 square feet. The house will be listed for $1,499,000, Gibbs says. It's positioned in the city, close to Powhite Parkway, with a large front yard and decently spacious pool in the back. Guests are greeted with a grand foyer with a tall ceiling, flanked by an updated kitchen that flows into the living space. "You couldn't reproduce this today for all the tea in China," Gibbs says. "Architecturally, it just shines. It's one of a kind, one of Richmond's finest. And it's in a spectacular location." With gorgeous brick pavers, the more than 6,000-square-foot house was built in 1925 by architect Otis K. Asbury. There's a guest apartment on the second floor, which overlooks the foyer. There's also a stunning Mediterranean-style balcony on the front of the home. The Rothesay Circle home was built in 1925, designed by architect Otis K. Asbury. The room curvatures and arches for room entryways were fanciful touches popular during the time, particularly for a Mediterranean-style home. It's a Mediterranean-style house dropped into a city, near a river, with a spacious yard and a pool. There's something special about a home when it's deemed by film directors to be cool and fantastic enough to be lived in by Jackie Kennedy. While she never actually lived in the house in real life, it certainly fits the bill.